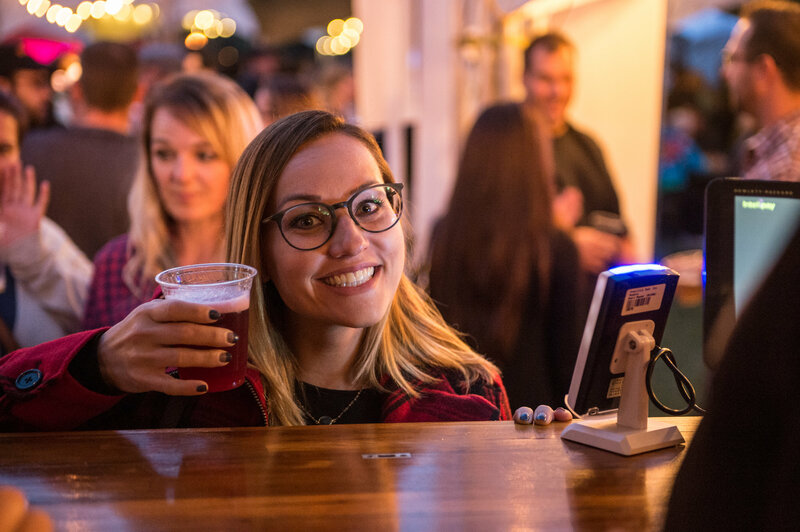 We’re bringing cider back to the 2018 Windsor Craft Beer Festival. A popular choice at last years festival, we’re setting up our Traveller with cider from Wagner Orchards once again to please your palate. However, we’re switching it up a little. Instead of bringing their oh so delicious cherry cider to go alongside their regular hard cider, an equally tasty raspberry cider will flow from tap number two. When you’re on site looking for the cider, look for the marquee sign that says WindsorEats and we’ll be inside the mobile bar. Enjoying at glass of cider at the Windsor Craft Beer Festival in Windsor, Ontario. The sixth edition of the Windsor Craft Beer Festival will take place from October 11-12. If you haven’t purchased your tickets yet, we recommend getting them now. Last year the festival sold out in advance and ticket sales are well ahead of pace for 2018. If you haven’t heard, Day One of 2018 will be Marching Band Night as we bring in 3 different ensembles to provide the entertainment for the evening, including the Detroit Party Marching Band.